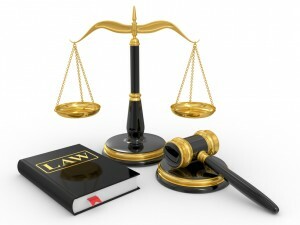 New Bankruptcy Law Changed | Denver Bankruptcy Attorney - Jon B. Clarke, P.C. The 2005 Act necessitates fundamental changes in client marketing, client in-take and culminating the filing of a Chapter 7, 11, or 13 Petition. The Bankruptcy Abuse Prevention and Consumer Protection Act of 2005 (the “2005 Act”) imposes extensive and stringent disclosure requirements on entities (such as Jon B. Clarke, P.C., which may or may not be a “Debt Relief Agency”) providing “bankruptcy assistance” (advice) to “assisted persons” (prospective client-debtors). Many attorneys, judges, and law professors felt the 2005 Act was unworkable and, in some respects, unconstitutional. Challenges to the 2005 Act have have occurred and are expected to continue through the federal court system for years to come. Until and unless the Congress “irons out the wrinkles” via subsequent corrective legislation or final decisions emerge from the courts, bankruptcy relief will be significantly difficult and more costly to obtain than before. The 2005 Act necessitates fundamental changes in client marketing, client in-take, client consultation, obtaining of client information, leading to pre-bankruptcy analysis and culminating in the filing of a Chapter 7, 11, or 13 Petition. This website has been designed to provide you with the disclosures, notices, and instructions required by the 2005 Act before this firm can legally give you meaningful, personalized advice about your own unique situation. Most Americans are aware of the Bankruptcy Reform Act of 2005 which President Bush signed into law on April 20th, 2005. But few people who are considering bankruptcy understand its complexities, including the means test and the credit counseling requirement. Denver area bankruptcy lawyer Jon B. Clarke makes it his business to stay up to date on all of its provisions, as well as the latest interpretations on how it will impact bankruptcy filers after October 16th, 2005. In fact, he educates other lawyers on this new bankruptcy law, and has commented to Colorado newspaper and television media about it. For information on how the new bankruptcy code may affect your situation, contact Denver Colorado bankruptcy lawyer Jon B. Clarke after exploring this website, reading Becoming A Client and filling out the Business or Consumer Debtor Analysis Form. Who Will Qualify for Chapter 7 Bankruptcy Under the New Law? In his lectures on the Bankruptcy Reform Act for other bankruptcy lawyers, Mr. Clarke explains the numerous changes this new bankruptcy law made to existing bankruptcy laws. He demonstrates how eligibility for Chapter 7 liquidation bankruptcy will be calculated. For example, a family of four in Denver will preferably have an income of less than $84,000 a year to qualify for Chapter 7 consumer liquidation bankruptcy. (This is a rough approximation). Debtors who no longer qualify for a Chapter 7 personal bankruptcy filing will, instead, have no choice but to pay their discretionary income to creditors on a monthly basis over 5 years’ time under a Chapter 13 bankruptcy repayment plan. As a media commentator, Mr. Clarke has expressed his view that bankruptcy administrators, lawyers and judges will be heavily burdened by litigation seeking to determine whether individuals qualify for Chapter 7 and to resolve other radical changes introduced by the new bankruptcy law. In the meantime, however, Coloradoans considering personal bankruptcy are invited to do some basic research on bankruptcy through the links found on our Bankruptcy Information Center, Web Resources, and Becoming A Client pages. Then you are welcome to fill out the following the Business or Consumer Debtor Analysis Form and forward it to Jon B. Clarke by email or fax (303-850-7115). If further information is needed after you follow these steps, contact us by fax, email, or telephone (303) 688-3045. * Mr. Clark serves clients in the Denver area, including Castle Rock, Littleton, Englewood, Highlands Ranch, Parker, Elizabeth, Castle Pines, and Greenwood Village.